I have been in my new role as PR account executive for six months now, and the time has flown by. Whilst doing some media monitoring the other day I came across yet another recycled phrase that was used in some guise or another in an attempt to be witty. However, rather than put a wry smile on my face it did the opposite to me. I recoiled in horror as I saw yet another cliched phrase modified to fit and fortify a flagging press release. I’m sure it has done the same to you at some stage, perhaps an eye roll or a groan as you see one of these chestnuts nestled in the text your reading. Starting out in PR is never easy as you navigate putting pen to paper, or fingers to keyboards as the case may be. Now I’m all for using humour, familiar phrases or any other device to engage your reader, but I have noticed a few that you really should avoid like the plague. When I first cast eyes on this phrase I was at the London College of Fashion, learning from a former PR pro who had graced such wonders as Vogue, Mulberry and Woolford. I adored her as she was direct, refreshing and intriguing, she was my very first PR mentor. As soon as she mentioned her hatred for this phrase I began to see it everywhere. If you work in fashion or beauty, as I have done in the past, you will know this phrase is virtually unavoidable from the humble CV to editorial, this little cracker is everywhere. I can tell you exactly the first time heard this phrase. It was two years ago and until then I lived in blissful ignorance. My friend and I had been looking at Linked In profiles in order to improve our own and she pointed it out. 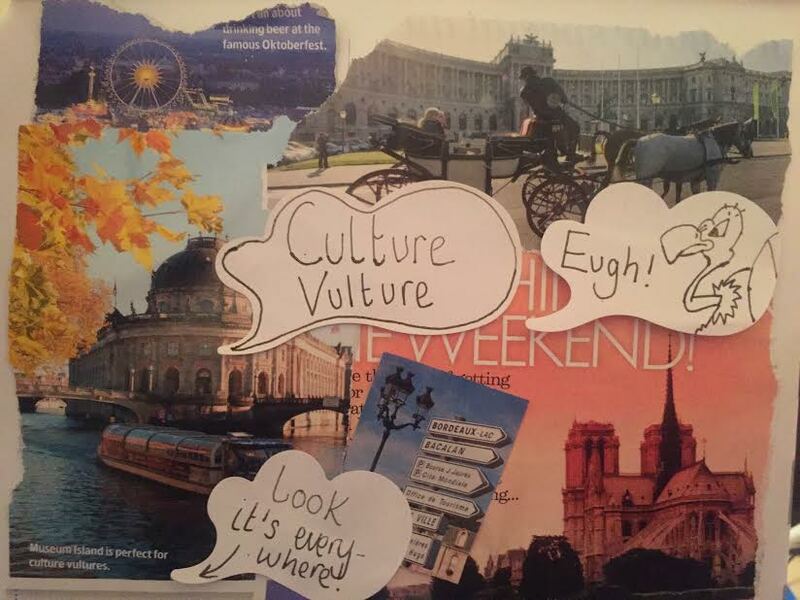 She said that people often described her as a ‘culture vulture’ and she didn’t like it, not one little bit. Nor did I. Just because you are interested in life outside your own sphere does not mean you are a ready to swoop in and devour all other cultures. Everyone has interests, most people like to travel, why do we have to pigeon hole people with such a vulgar term? Guilty! Yes I am, I have used this phrase for my own writing, when I was ten years old in my English class. I thought I was so clever, but like most ‘original thought’ it unfortunately lacked originality. This has been done, far and wide, high and low and it is recognisable but it’s been done. Let the mighty bard rest this phrase so we can appreciate it in his plays in the future. Now before I lose you on this one, let’s set the record straight, I love the Bond films. I grew up curled up on the sofa, with my Grandad, eating Terry’s chocolate orange segments whilst watching the latest instalments of the series getting scared that if I ate too much of the chocolate I too would have a mouth full of gold teeth. These are some of my fondest memories. 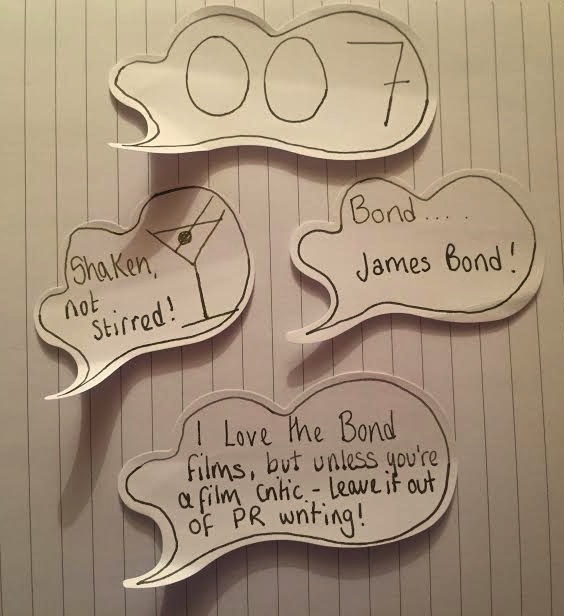 So I say this with a caveat, don’t make a cliched Bond reference, unless you are doing the PR for a Bond film or genuinely have some connection to it. Otherwise, you are wrecking a British institution. Often used by millenials, yummy mummys and those in mid-life crisis. So in essence, everyone. This applies to all of us. I am a millennial (people born late 80’s/90’s and formative teenage years in the 90’s/00’s) and I don’t believe anyone needs an excuse to trying something new or an excuse to do something bold. I hate this phrase, this for me is the worst because it isn’t just a phrase it can be used as an excuse, a manipulation. When I’m out I often overhear comments like ‘Should I buy these shoes which mean I can’t pay the rent? 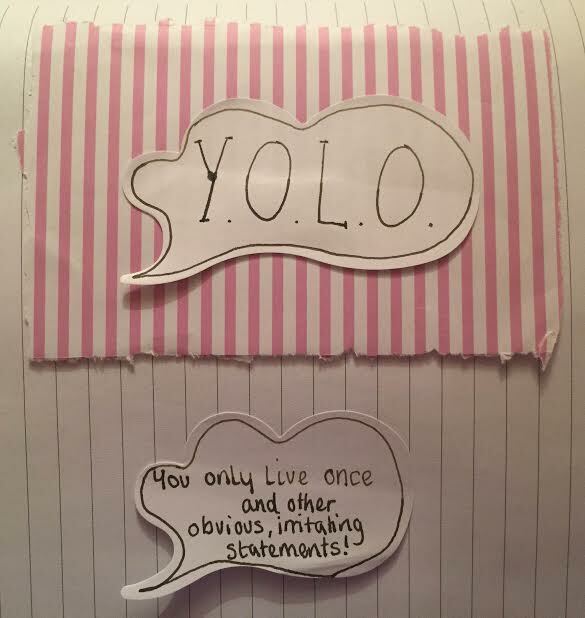 Oh well, you only live once! Hello new shoes!’. YOLO isn’t an excuse to be irresponsible or to do bad things. I’ve heard YOLO used as an excuse for affairs, silly purchases and for other socially unacceptable things. Attaching a carefree phrase doesn’t make the action any better.On a lighter note, I’ve also heard it used in far less serious context and I’m sure many will call me out and say that it’s just a bit of fun. But, I still can’t help but loathe it. Live your life the way you want to, you don’t need an excuse to seize the moment, or watch back to back episodes of Game of Thrones, in your PJ’s whilst eating Ben and Jerry’s straight out of the tub. My best advice is to try and be original. I know this is hard when you are battling deadlines, but keep it simple if all else evades you. These are my top five, what phrases would you advise to avoid?